Puppy’s first day at home is special and difficult for both the pup and pet parents. 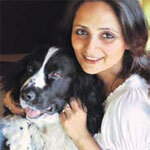 Here are experiences of some Kolkata new pet parents. Here are 30 tips to keep your pet fit and fine all the month round. While adopting pedigreed pups, a veterinary examination of the pup is mandatory and the pup must be a registered with The Kennel Club of India. Pup should be weaned from his mother at the age of one and half months of age. At this age, the pup receives maximum milk and antibodies from his mother. Pup should be vaccinated at the age of six to seven weeks of age for diseases like distemper, hepatitis, viral gastro, para influenza, adeno virus, leptospirosis, etc. These should be followed by corona virus vaccine and then rabies vaccine. Get your dog regularly dewormed. Before giving bath, both the ears of the dog should be plugged with cotton to prevent infection and entry of water into the ear canal. Give daily exercise, depending upon type of breed and age of the dog. Diet of the dog should be decided as per his age and breed. Daily grooming should be done. Give bath once in a month or needed but only with dog shampoo. Get a habit of handling and cleaning the dog teeth with soft brush by using dog tooth paste. Periodically get the ear cleaned and the nails trimmed by your vet. Do not apply Dettol, oil, lotion or any human soap or shampoo to dog’s body as it may cause allergy. Pups below three months of age need not require bath. Clean them with a moist towel. Do not give sweets, spices, salts, sugar, oil and chocolates. Do not give chicken or mutton bones as it may cause obstruction and injuries in the bowels. Do not give raw meat or chicken as it may transmit parasitic and infectious diseases. Do not give raw egg as it may cause hair loss and biotin deficiency. Do not feed them table scraps. Do not allow your pet to come in contact with other stray dogs. Always clean the feeding utensils and always give fresh food and water. In long-haired breeds, such as Lhasa Apso, Afghan Hound, etc, hair around the ear opening should be clipped periodically to maintain good ventilation. Always take your pet dog on leash while walking on the street. Start training your dog early to make him an obedient dog. Check the foot pads, ears and body for ticks and fleas. Never keep your dog alone in a car. When travelling in a car, ensure that there is good ventilation. Minimum 18 months old stud dog should be used for breeding purpose. Consult the veterinary surgeon if your dog suffers from vomiting, diarrhoea or any infectious disease. Protect your dog against extreme heat and cold. Skin infection such as scabies, demodectic mange and fungal infection are transmissible to human beings. In such case consult the vet and treat your dog immediately. Do not neglect or tie your dog. (Dr Hemant Jain, MVSc (Surgery) is a dog, cat & bird practitioner who runs Dogs, Cats & Birds Clinic in Nagpur). Pet parenting… First brush with love! Love comes unannounced and this is what exactly happened! I never imagined that I will be a pet parent someday. It’s my daughter who taught me how to love a pet. In fact, she was always afraid of dogs but wanted to have one. I don’t know how this miracle happened in my life as my daughter’s fear of dogs has gone away and I can’t stay away from my dog. Today she can pet him lovingly – she adores dogs now. Growing up having attention deficit hyperactivity disorder (ADHD) left me with no friends and no one to talk to. My parents never wanted to come out of that state of denial because even today very few understand what ADHD is. I had waited for eight long years to get a pup. My brother convinced my father was two straight weeks, at last I have someone to talk to… Nimbus my pet! He lies down near my feet whenever I sit and work late in the night! Call it moral support or whatever, it works wonders. I am able to sit for long hours without realising I have ADHD. Someday, I wish to write a book or make a movie on Nimbus. He deserves it! It happened when I was just 14 years old. One day while I was playing in our lawn, I heard a puppy yelping. I went out and found a small puppy under papa’s scooter, who seemed to have got separated from her mother. I adopted her and named her ‘Naughty’ – an adorable and loving dog! She was scared of firecrackers; because of her we never burst firecrackers on Diwali for almost 15 years. Even now – after so many years whenever we hear the sound of a firecracker, it reminds us of Naughty! We first adopted a stray when I was in class III in 1978. It happened on a very cold winter night, a puppy standing at our gate called us helplessly. My mother instantly rushed to pick her up. We named her Blacky. She stayed with us for 12 years and gave birth to two lovely sons called Tiger and Sheru. They all have gone but I can never forget them. Today, I am more than 45 years old and blessed with Bruno (Labrador) who has been growing along with my daughter. The amount of love we get from our pooches is unforgettable! My first puppy was a beautiful stray named Timmy. Got her from my uncle when I was in school around 15 years back. I took her home just for one day, but she stayed permanently with us as our family member. She was a sweetheart, the first pooch in our family. She was followed by Bonny (Doberman), Don (Labrador), Bindu (daughter of Timmy and Don) and Jacky (German Shepherd). All of them respected Timmy as the senior most in our family. When I was just four years old, my parents asked me what I would want to become. “Animal doctor!,” I replied. They laughed. We got Sandy, a German Shepherd, when I was five. When I was in class VIII, I adopted a cross breed female dog named Cookie and four strays. After them came Blacky who gave birth to a sweet little pup named Jack. I also adopted a female German Shepherd named Lara and newest member in the pack is my first Pug called Liza. I’ll never forget the days Bruno helped me when one of my legs got fractured and I was bedridden for two months. Bruno was a brown Dachshund son of my parents’ pet dogs Buster and Juju. He stayed by my side during those days and only got down from the bed to answer nature’s call. The fracture healed within two months rather than the four predicted by the doctor. We shared an intuitive relationship which helped me become a true pet parent. My grief of losing Bruno in 2008 was lessened when my second pooch Coco entered my life. Since childhood I saw army training dogs and wondered how they did it. My love for animals compelled me to help injured and abandoned ones. My parents always supported me for all these activities. Seeing my love for pets, my parents brought home a German Shepherd. I mark it as an important day of my life. It was on 3rd March 2010, I became a true pet parent to a German Shepherd. http://www.dogsandpupsmagazine.com/wp-content/uploads/2012/11/0061.jpg 134 250 Dogs and pups Magazine http://www.dogsandpupsmagazine.com/wp-content/uploads/2017/05/1254nal.jpg Dogs and pups Magazine2012-11-16 08:34:292013-09-27 13:09:24Pet parenting... First brush with love! Life is beautiful- each moment ever changing, filled with new challenges – amongst all the whirlpool of activities which surround me – I stop and look at Sparkle & Suhaan (my 3.5 years old) – and their attitude towards life…if they are happy, they show it; if they are sad that is visible too; if they want love, they simply come and snuggle. What they both want is expressed loud and clear – toys generally for Suhaan and walks for Sparkle. To all parents out there –this is a bond so true… kids and dogs share a beautiful relationship… so if you are planning to get a puppy home, get her for all the RIGHT REASONS. Make the pup a part of your family and if you already are a pet parent…waiting for your baby to arrive…with the right care and attitude, you will have millions of memories for a lifetime. So this issue is dedicated to PAWSSIONATE PARENTING of your four legged furry babies – taking care of them in a holistic manner – health, nutrition, training, grooming, mental stimulations, feelings, understanding them and looking at the world from their eyes, not yours and most of all… at all times showing that you love them with all your heart. There is more good news – taking care to a different level is the emergence of special veterinary diagnostic labs, which have veterinary diagnostic machines designed for animals specifically. Also the opening of CGS Hospital for pet care in Gurgaon will surely help pet parents greatly in the time of need and emergencies. Amidst all this…please do not forget to extend your parenting skills to our stray friends…get them neutered, provide them warmth in the cold and water on the sunny days ahead. Standing up for them when they need us and do protest against animal abuse afflicted on them. On this happy note, Sparkle woofs you to enjoy each moment – love, live life and laugh…together today and all tomorrows! http://www.dogsandpupsmagazine.com/wp-content/uploads/2017/05/1254nal.jpg 0 0 Dogs and pups Magazine http://www.dogsandpupsmagazine.com/wp-content/uploads/2017/05/1254nal.jpg Dogs and pups Magazine2011-03-18 05:26:302014-02-07 18:07:40Pawssionate parenting! It is often our mistake and not the pet’s problem that results in a misbehaved pet. Watch out for your responsibilities before adopting a pet and behave like a responsible pet parent. The bond between you and your pet will blossom beyond imagination as your pet gives you back much more than what he receives from you. He sees you as your mentor and will follow the path laid by you. What does pet parenting means? We put a lot of efforts in parenting our children to ensure their desired upbringing. The same is required for our pet to transform them into a healthy, disciplined and cultured one.For this transforma-tion, responsible pet parenting is essential.Why is right pet parenting essential? Adopting a pet does not ensure that he is going to inherit all the breed characteristics. Exploiting the genetic potential depends on his upbringing, thereby comes the role of pet parenting. It is to be understood that as per the breed, dogs possess different characters. For e.g., German Shepherd, Rottweiler and Doberman, have a natural instinct to guard. Labradors are docile with good sniffing characters, while Cocker Spaniel and Dachshund are a hyperactive lot and so forth and so on. Since the basic breed characters cannot be changed, it becomes very important to pick a breed with the desired characters. Once a right breed is selected, the role of pet parenting comes into play to exploit the breed characteristics. A misguided or ill trained dog, even of very friendly characteristics, becomes a nuisance at times. Having pets makes you feel good, both physically and mentally. Many medical studies have shown that pet owners have lower stress levels and fewer heart attacks. If you have a dog or cat, you always have someone to come home for and your furry friend will never tell your boss all the horrible things you said after a particularly bad day at the office. It should come as no surprise that researchers have found that petting and talking to a companion animal actually reduces blood pressure. Many retirement facilities and hospitals bring in pets for visits or have a pet at the facility. Animal assisted therapy is being used for more health issues than ever before. Guide dogs continue to help the blind, but now assistance dogs also help deaf humans, the physically handicapped, and people with epilepsy, Parkinson’s disease, and other afflictions. Many “dog problems” stem from a lack of understanding. Many people approach pet ownership as something akin to owning a car: if it’s broken, take it to be fixed. If it has too many problems, you return it to a dealer or sell it. This “pets-are-disposable” attitude is why so many dogs end up in rescue groups and animal shelters. It’s tragic because almost all problems can be solved with a little patience and understanding. A dog is a dog. He is not a small human, and expecting him to behave like one is unfair. Every pet is an individual and you have to work within the limitations of the animal’s personality. All pets in the household need to learn the rules, but the humans need a few rules too. Your pet loves you and the best thing you can do is to love him in return. Like any family member, you learn to live with a few foibles because the companionship and love you receive is worth it. To own a dog, the two most important things you need to have are time and patience. You need time and patience for feeding your dog every day, housebreaking, brushing, walking, playing and training, taking him to a vet and most importantly for loving him. All this has to happen whether you feel like it or not. So, if you are considering getting a dog, first be honest with yourself. If you are thinking about getting a pet and you have children, it may be time to step back and evaluate your kids’ attitude toward animals. Many children have never had any guidelines as to the proper rules for dealing with animals. Some kids run up to the animals recklessly and others shy away in fear when they encounter one. Learning respect for animals should be a big part of growing up, but the increasing number of dog bite incidents is clear evidence that parent’s aren’t telling kids what they need to know. Start teaching your kids about animals at an early age. Show them how to listen and learn about their animal compatriots. Teach your child to be gentle. You might show them how to stroke an animal gently on a stuffed toy first, and then graduate to a friend’s pet who you know is very gentle. Be sure to teach your child not to chase or hit any animal. A kid who is taught to care about animals learns that animals and people are living things and should not be treated violently. If you plan to get a pet, have your child help you research breeds and learn how to take care of a new pet. Explain that owning an animal is a lifetime commitment and point out that the animals should not be treated as disposable “throw away” toys. Show your kids the importance of having the pet as a family member, but don’t expect small children to take full responsibility for caring for an animal. Getting a pet is a fantastic opportunity for education. Kids who have been taught to respect animals learn to look at the world around them in a more humane, caring way. And who wouldn’t want that for their kids. Life is full of changes and if you don’t think your pet notices, well, you are wrong. Many times behaviour problems in pet can be traced to changes in their home life. After all, they live there too. Major life events such as death, separation, or divorce cause a great deal of emotional distress and pets pick up on it and become anxious. If people suddenly start shouting and arguing with one another, it has effect on every creature in the house. What a working person can do? We have all seen dogs left outside all day to fend for themselves or chained to a dog house, presumably while their owners are at work. Less obvious are those dogs who are left at home all day trapped in a crate. Dogs are social animals and when they are left alone for hours everyday, behavior problems may occur. But even dogs who spend a lot of time with their owners can end up with behavioral issues when the owner goes out. Unfortunately, this type of destruction, barking, obsessive-compulsive behaviours and anxiety are all potential results of social deprivation and boredom. Even though all dogs were bred to do some type of work, too many of them are forced to spend their days doing nothing at all. As with your little kids, if you don’t give a dog something to do, she will find something to do. And it would undoubtedly be something you won’t like. As with your children, someone needs to be in charge. Dogs feel more secure when they have a set routine and a clear leader. That leader should be you. The answer is to provide a stable environment with clear ground rules. If you aren’t the one in charge now, it’s time to start exercising some leadership. For example, when you leave the house, never make it a big issue. Just go. It’s an ordinary event for you and it should be for the dog. If your comings and goings have turned into a massive emotional situation, you need to tone it down. Owning a dog when you have a job is not impossible. But when you’re home, be sure to give your dog lots of love and exercise. After all, a tired dog is a good dog. It starts with bringing home a pup with the desired breed characters. Ensure that the pup is brought from a recognized breeder or vet to avoid genetic defects and health problems. Before entry of pet in the house, you need to make provision for his place, bed, feed and water, etc. Fix the timings and place feeding. Expose the pup to the food that is healthy for him and do not feed scraps. Pups normally relieve after meals if diet schedule is followed. Take the pup to the place where you want him to relieve. Repeat this for a few days, following which the pup gets accustomed to this routine. Do not beat or scold a dog unnecessarily. Speaking in a high pitch commanding tone is enough, if he has done some mistake. Children and other members of the house should get familiar to the pet as a part of socializing. Playing with the pet is good but he should not be over bothered so as to irritate or tire him. Develop a bond with the pet by patting, massage, grooming and playing. Train the pet for all commands you would like him to follow, and use these commands regularly. Train the pet to remain at home even in your absence. This can be done by leaving him for short duration to begin with that is gradually extended. Encourage good habits and discourage bad habits from the very first day. Avoid accidents by taking your pet out with a leash. Avoid chances of poisoning by keeping poisonous substances out of his reach.